Juvenile GAA Page 2018 News. Ballyvaughan-Fanore Gaa Club are hosting an U10 football blitz at the community field on Saturday June 9th, visiting teams scheduled to attend are Shannon Gaels, Coolmeen, and St Joseph's Miltown Malbay. Times to be confirmed. Venue- Quilty, Time 13:00, Date Monday June 11th. National Schools Football Division 3 Round 2, 11 a side. Corofin was the venue for this eagerly awaited round 2 national schools football division 3 game which was played under sweltering heat on May 23rd. In an entertaining contest, which saw Ballynacally jump into an early 0:02 to nothing lead as the first half was a tight afair but a goal from Lisa Shields did then settle the team down and went on to play brilliant football and were unlucky to be down by 2 points at half time on a scoreline 1:05 to 1:03. The second half saw more brilliant football played by both teams where goals proved to be the match winner as Lisa Shileds knotched up her second followed up by one scored by Cathal McNamara. A win here has put the team in to the semi finals for the second year in a row, dates and times etc to be announced later. Noah McNamara Deeney & Lorcan Doolin. Subs used, Miqueias Regueira Silva for Lisa Shields, Luca Mele for Emily Howard and Luca Mullins for Bob Casey. Other panel memembers includes Euan Farrell, Thomas O'Halloran, Eoin Burke, Darragh O'Leary and Daniel Irwin. 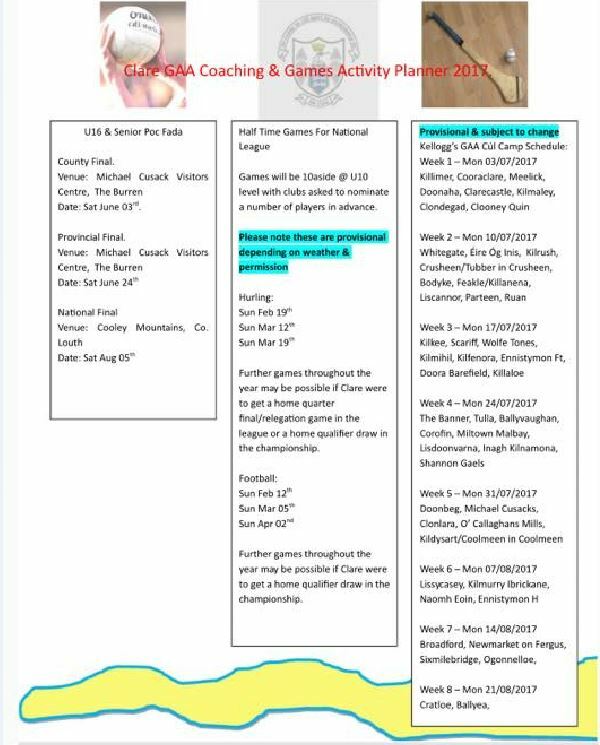 Fixtures for Ballyvaughan-Fanore GAA Club upcoming. U12 Football Championship Dan O'Halloran League. Sunday May 27th Venue Ballyvaughan, Ballyvaughan-Fanore v Clann Lir, Time 11 am. 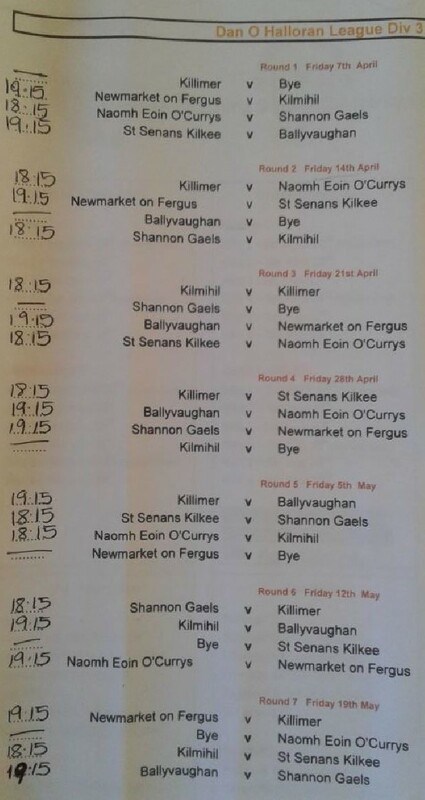 Monday May 28th St Breckan's v Kilrush-Killimer, Time 18:15, Venue:- Cusack Park Ennis. Round 2 Ballyvaughan/Fanore/Carron/New Quay v Ballnacally Venue Corofin, 23rd May, @ 13:00. Saturday 12th May, U10 Football Blitz @ Lisdoonvarna. Saturday 19th May, U8 Football Blitz @ Cooraclare. U16 Division 1 Football Championship St Breckan's 3:06 Doonbeg 1:12@ Lisdoonvarna Time 19:00. 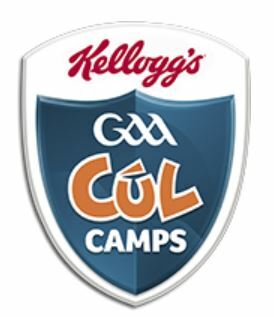 Ballyvaughan-Fanore GAA Cúl Camps are in full swing for the 2018 season. Fixtures Please click the link on the left to launch. U12 Football Sun April 08th Ballyvaughan/Fanore v Éire Óg Inis, has a starting time of 12 Noon at the Community Field. PLEASE support the stars of the future. Juvenile GAA Page 2017 News. This page is a work in progress please check regularly for updates, fixtures and more, please come out and support your juvenile teams. Weekend fixtures are as follows for Friday 19th, U12 v Shannon Gaels at the Community Field @ at a resheduled time of 18:30, Referee Pat Cosgrove. 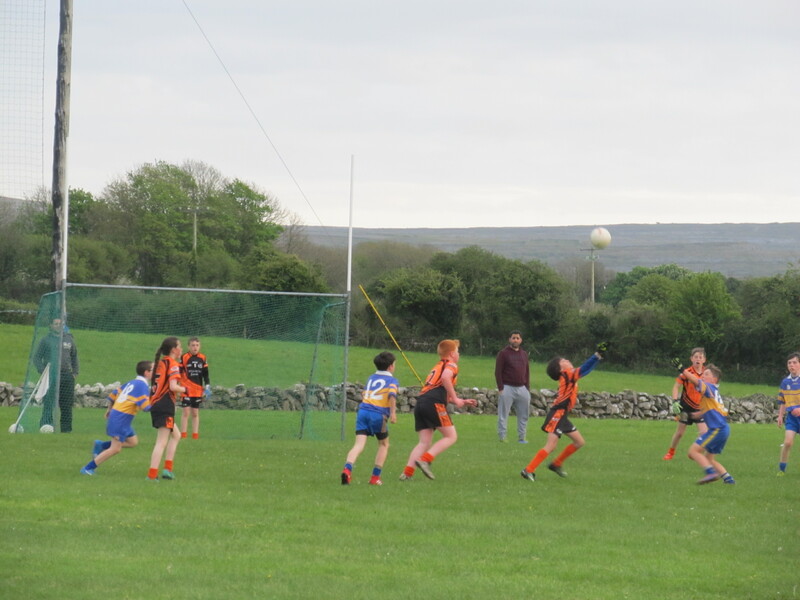 Well done to all after victory in the U12 fixture Ballyvaughan-Fanore v Killimer on Saturday May 6th. Please click the link on the to launch. Aerial action from the U12 Divsion 3 game played at the community field (21-04), Thanks to Newmarket On Fergus for making the long trip up, thanks also to Referee John Hannon for coming also at short notice. 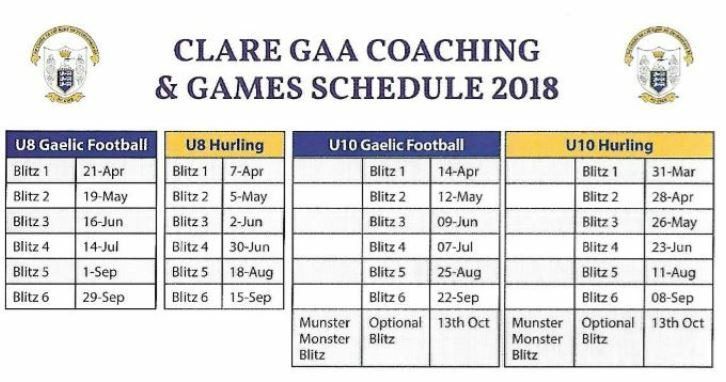 Saturday 22rd of April will be another busy weekend in the Ballyvaughan-Fanore GAA Calander, our U8's will travel to Eire Og grounds Ennis to take part in the monster blitz of football which will kick off the U8's season. St. Josephs Miltown Malbay, Éire Óg Inis and Wolfe Tones na Sionna will be the opposition. Time is 12 noon for this Monster Blitz. Thanks to all that made the long trip to Kilkee on Friday the 7th April to play St Sennan's Kilkee, as things did not go to plan on the field a great night was had by all and Ballyvaughan-Fanore GAA Club would like to thanks the home club for the tea, sandwiches provided at the end. 2017 U12 Football Fixtures are listed here. (Please click this link to launch full list of the fixtures). Facebook Page Please click the link on the left to launch.